Cost The program fee is $300 for Fall Ball, $1200 for the “A” team (less $300 for fall ball players), and $750 for the “B” team (less $200 for fall ball players). Payment is made upon selection for fall ball and incrementally during the early months of 2017. Fall and winter workouts indoors will be priced separately. Coaches The coaches are selected by TEAM UP, NFP. Practices & Games • Each team will have approximately 20 – 25 practices; A Team players will play 65-75 games, and B Team players will play 50-60 games, including registration for in-house PONY/Babe Ruth baseball with the Homewood/Flossmoor leagues. The fall ball team will play approximately 15-20 games at Ho Chunk Southland Center.• The spring/summer season will run from early April through Late July, 2017. The fall season will run from Labor Day weekend through mid-October, 2016. • Exact dates and times of practices and games will not be determined until September, but we are shooting for Thursdays 7:30-9:00 from September through March for indoor workouts. During the spring/summer season beginning after spring break, VU will have games or practices 5-6 days per week. • Indoor practices are held at the Homewood Flossmoor High School Field House, and outdoor games and practices are held at multiple facilities, including Apollo Park, Lions Club Park, Flossmoor Park and HFHS. • During the week, games practices will start as early as 5:30 p.m. and end as late as 9 p.m. Weekend times will vary. • There are no games or practices during spring break, but there may be special clinics and workouts on other days off or breaks from school. • We will play in a combination of leagues and tournaments throughout the Chicagoland area unless otherwise noted, and each team will travel at least once to a tournament outside the Chicagoland area. Commitment If your son makes the team, he must attend all Vikings United games and practices. 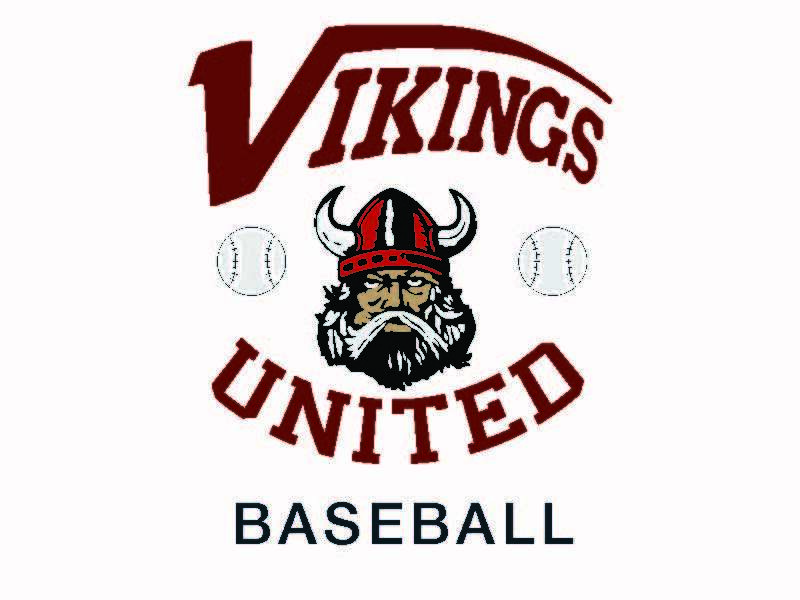 If he chooses to play other sports, Vikings United Baseball must take precedence over other athletic commitments.